Go on a VR adventure and find the best games at GameStop. For your PlayStation 4 consider The Elder Scrolls V: Skyrim VR. Get immersed into a world of fantasy and get all your senses into the experience. Feel the adrenaline pump as you fight dragons and try to get the Empire back to normal. You play the role of Dragonborn and with your powerful voice will successfully win the fight. In Skyrim VR you decide the way to see your new world. This edition has add-ons like Dawnguard, Hearthfire, and Dragonborn. A great game that is a must-have for your PS4 VR games. Get in control and change the settings in your PS4 for a smooth playing experience. Even with just a DualShock controller you are in for a great, fun time. This game will surpass your expectations, prepare to climb stairs in a dungeon and get to the top of the mountains. This remastered version has fresh new graphics and plays smoothly. The experience is so beautiful that you’ll be playing for days. Challenge yourself and reach a new level of difficulty each time you play. Get submerged in Playstation VR Worlds. Go on a journey in five unique experiences created especially for you. Be part of the criminal world in London and turn into a gangster, make a great escape and the right choice. Turn into a diver and go deeper into the ocean, get close to white sharks and uncover the secret. It’s all or nothing in a tournament of the future, you’ll have to survive in order to win.This game is safe to play and won’t cause any motion sickness. The use of the controller is not needed you mostly control the movements by moving your head. The game is short in duration but you’re in for lots of fun. You’ll feel part of the game plus the sound and visuals add more to your experience. This is a great game to get introduced to the world of VR. Get DriveClub VR for PlayStation 4. Feel the adrenaline rush, get on the driver’s seat, and turn on the car’s engine. Time to buckle up the seatbelt and drive like thunder. Hear the crowd screaming for you, and get ready to showcase your steering skills. Push your limits and strive to reach the finish line. Turn your head as you drive and enjoy the beautiful and lifelike environment. Look in the rearview mirror to prevent other drivers from passing you. You can also enjoy a solo drive in “no time limit” mode and pick from various track locations. Don’t let the car spin too long and get back on the race. Game modes include race, tour, drift challenge and fun cruise. You’ll want to dedicate many hours to unlock most of the 80 cars.This game gives you an immersive driving experience to feel like you are inside an actual exotic car. 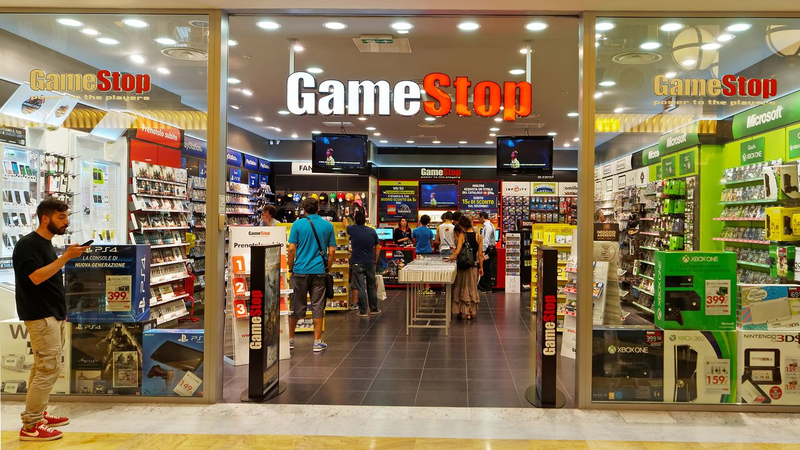 Find the best adventure VR games at GameStop for a great VR experience.